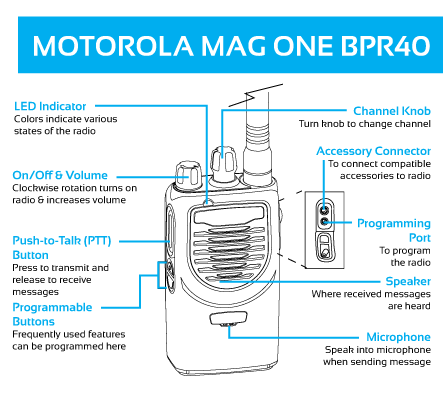 The Motorola BPR40 is part of the MagOne product line built to answer the need in the two-way radio industry for a more affordable commercial radio and accessory series. This radio has 8 channels and comes standard with a 1200 mAh battery. $212.00 To see product price, add this item to your cart. What's this? 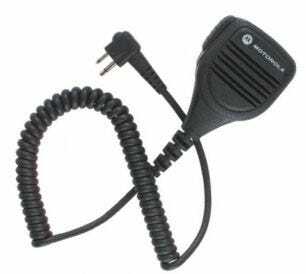 The BPR40 is an excellent, economical radio that provides tremendous audio transmission. It's a smaller, lightweight radio that can support up to sixteen channels. This radio has two programmable buttons which allow for versatile customization. The BPR40 is a smart choice for education, hospitality and various other industries that need an easy-to-use, compact solution. Choose from up to twelve programmable features including; power settings, volume control, squelch management, continual monitoring, channel scan, temporary removal of channels, repeater/talkaround toggling, PL/DPL, button locking and a mode for battery conservation. 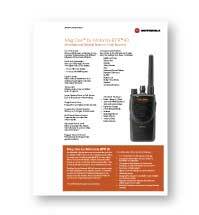 Among Amerizon's selection of entry tier radios, the BPR40 is an affordable and very easy to use option. In order to be 100% accurate on the identity of your radio model, remove the battery from your radio and on the metallic surface inside the back of your BPR40, you will find a label with a "Model:" number. Type that model number it into the search blank at the top of our web page, and you can find the same version of the radio that you currently have. The BPR40 offers High-Power and Low-Power options to help save on battery life. Removes unwanted channels from the scan function, temporarily. Allows users to bypass the repeater and dispatcher for simplex communication. Can operate over 8 or 16 channels, so you can customize your system to your needs. Has capability to scan for higher-priority channels. Keeping your radio fleet organized is essential to achieving peak efficiency and productivity. 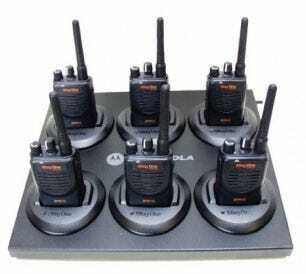 With the Motorola RLN6393A Multi-Unit Charger, you can build your two-way radio charging station to keep your communication equipment organized, powered up and accounted for. Adding audio accessories will help you customize your radio fleet for your individual needs. Using Speaker Microphones, like the Motorola PMMN4013A Remote Speaker Mic, can allow users to communicate through their radio while it remains secured to their belt, drastically lowering the risk of drops and damage.